Gifts are always an expression of our feelings for someone special, not necessarily given on an occasion. Making someone feel happy, special, appreciated, thankful or loved is the true meaning of a gift. Being a festival of enjoyment and merrymaking, Christmas follows the tradition of gift distribution which was epitomized by Santa Claus, the mythic figure. But to break the monotony of sober and regular gifts, we can try something unusual and humorous by presenting hilarious Christmas gag gifts to our loved ones. You can make this Christmas a cheerful way of spreading laughter around. Ping-pong balls always create some fun around. A great Christmas gag gift idea would be to color a bunch of ping-pong balls red and green and put them in the cupboard in such a way that they fall out immediately whomever opens the cupboard next. Your lucky gift receivers will open the cupboard only to find their eyes following the bouncing balls as they dance across the space around or fall onto the floor. Do write "Merry Christmas" on a few of the balls to get your message across and laugh with them about this later. 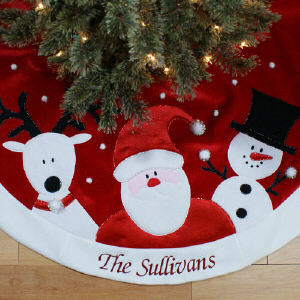 Christmas stockings make a great idea for surprise gifts. You can fill these stockings with little somethings for gag, like a creepy scary looking toy or some Santa toys that makes funny noises or look funny or scary, all available in the market. The receiver might scream for a while but the playful smile on your face will tell them of your good humor in wishing them “Merry Christmas”. How about putting a lump of coal in your kids' stockings and telling them this is all they are getting for Christmas? Of course, they know about the story of receiving coal in their stockings if they are bad during Christmas-time, so do hide the real stockings elsewhere and let them find it! One of the most popular Christmas gag gifts would be a huge box wrapped in colorful shining paper and ribbons, but with many other similarly decorated boxes inside it. Gift this box as a present to your friends or family who had been naughty to you once and you can have a healthy revenge. Make a video of them capturing their hard toil, falling spirits and rotting mood, but later on when you will show them the video, it will bring laughter to everybody, including your victim. You can give fake lottery tickets to your friends and declare the number as the winner, and while they are going crazy and hysterical at their victory, capture their mood in a video, right to that time when they will realize what is happening. Then later enjoy the video with everyone. Another amazing Christmas Gag Gift would be a dinner coupon or a shopping voucher of some really posh restaurant or brand, but with very low balance in it. So that, when the person actually goes out to utilize that, he or she will end up paying everything from their pocket. Though a little dangerous, but this will definitely make the Christmas a very memorable one which you and they will remember forever. 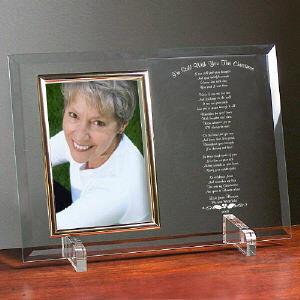 A beautiful photo frame would first appear as a great gift to the receiver. But this unique one can be a big gag gift if you place a photo of the recipient along with a witch's photograph or a funny cartoon that you made looking at their picture. 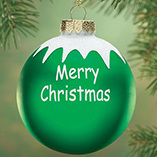 Adding a personal note indicating a special characteristic or trait of the person can be the context of this Christmas gag gift. Make sure that the intention of such gag gifts is to incite a good laugh and cheerful memories and not to hurt anyone's feelings. You can give many other small things to your friends and family, which are mere trifle, but on the name of Christmas gag gifts, they will always be remembered by your loved ones. Some other of these are, a packet of double batteries, with a note “ Toy Next Christmas”, a bag of nuts, with a note “ Nuts, for a nut, from a nut”, a nicely wrapped stick with a note “ A yard stick for you, I found it in my Yard”. Christmas is also a festival of lot of activities and indoor games. You can buy a puzzle game for your sports loving kids and challenge them for a match, but do not forget to hide one piece of their puzzle so that they will go crazy and mad with frustration, and just when they are about to storm out join that piece with the rest of the puzzle with a “ Just for Gags” note . 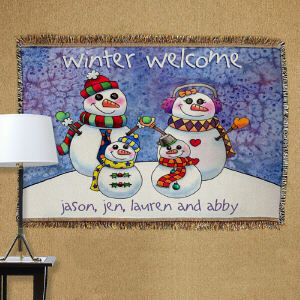 You can also pack an entire snow man as a gag gift. Well, in a zipper bag fill the melted frosty and two raisins for eyes and a button for a nose, and gift it to the kids. As they will open the zip, gasp out loud to tell them how their snowman went too close to the heater. This will produce a huge laughter in your house. By gifting these unusual presents to your loved ones, you won't be hurting their sentiments but you would be providing them a time to remember, making their Christmas even merrier. So buy or make these Christmas gag gifts and have a laughter full of Christmas.